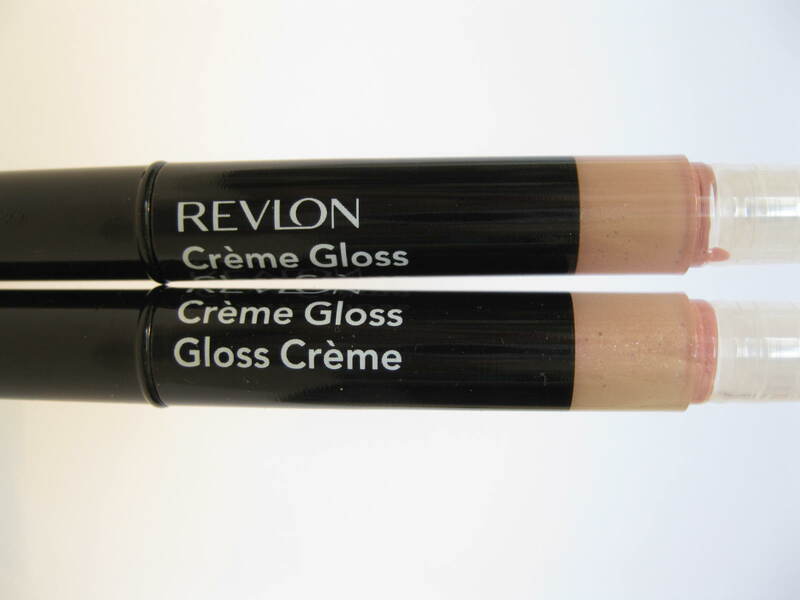 I picked up 2 Revlon Creme Glosses during the CVS "clearance event" at $2.50 each (regularly $10.) They were 75% off so I got them for a pretty sweet deal. 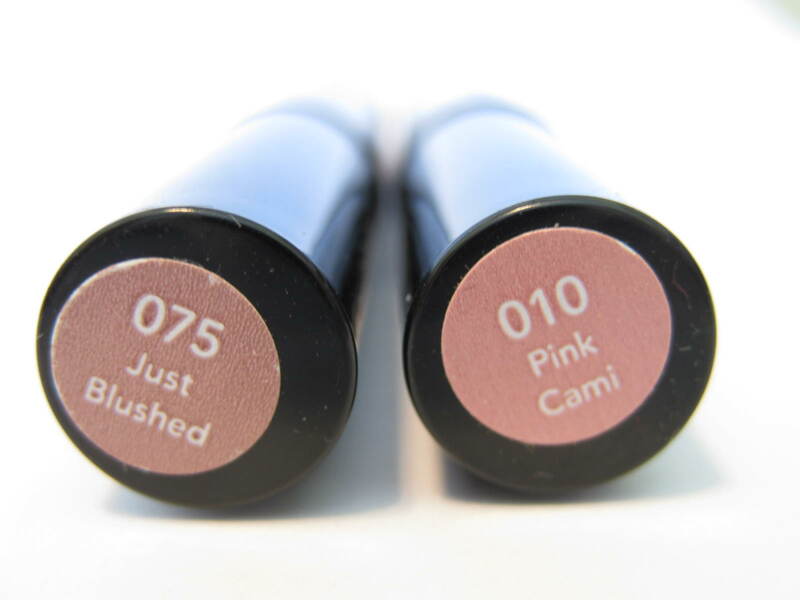 I bought "010 Pink Cami" and "075 Just Blushed." The Packaging: The packaging is like Stila's famous Lip Glazes with their pen like tube and brush applicator. The tube is mainly black with a clear "window" at the bottom just where the cap meets so that you can see the gloss shade. 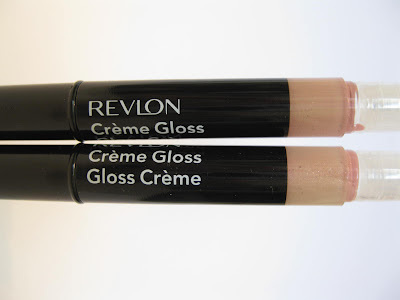 The cap is black with a gold "ring" that displays the Revlon name. To "eject" the gloss from the pen's brush tip, you twist the top. You'll hear a clicking noise while you do this and the gloss will come out of the brush tip like this.. The problem I have with these types of applicators is that sometimes way too much product comes out and it ends up being wasted. I do like that the brush is thick though since it's thick enough to spread out the gloss onto my lips. 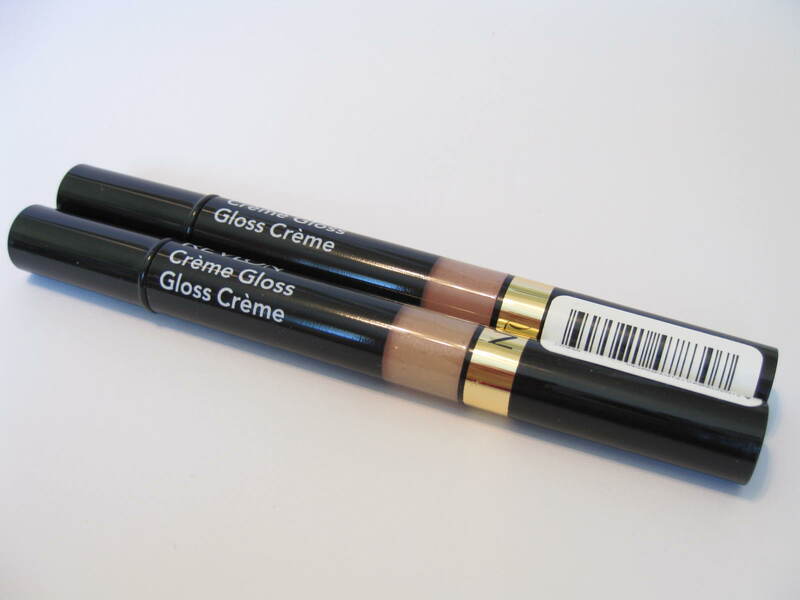 The Product: The gloss lasted around 3-4 hours which in my opinion, is pretty long lasting. Both shades I puchased felt a bit tacky and sticky enough to "grip" onto the lips but not too sticky where it became uncomfortble. 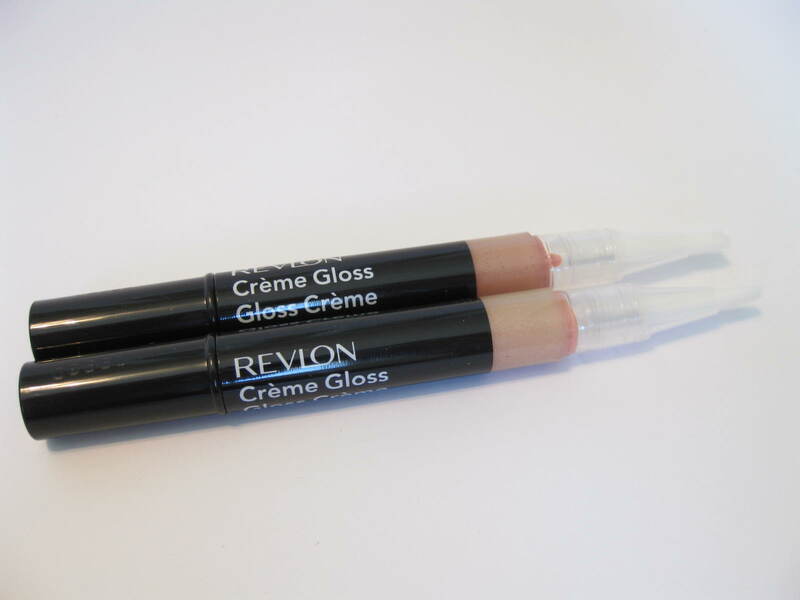 The gloss really "became one" with my lips which helped it to last longer. The gloss was neither moisturizing nor drying. It also had a semi thick texture and felt a bit gritty. (Just Blushed looked a bit gritty but Pink Cami looked super smooth.) The gloss smelled like the standard "artificial makeup smell" with a bit of sweetness to it. There was a bit of that artificial gross taste but it went away quickly. Now I have to mention, I did have different experiences with the 2 shades. Pink Cami was easy to work with and didn't cling onto the dry patches on my lips. It went on smoothly and evenly without any effort (note that it was the sheerer of the 2 shades.) Just Blushed didn't fair out so well. It "felt" the same as Pink Cami but didn't look as nice. 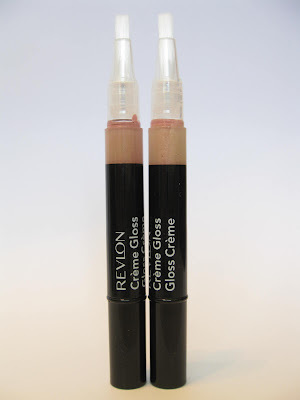 When I wore Just Blushed, there were noticeable air bubbles on my lips (not the case with Pink Cami) and the gloss really clung to the dead skin a dry patches on my lips. (Note that I did not exfoliate prior to applying both shades. I did wear lip balm under both.) Also, when I wore Just Blushed, within minutes, I saw the dreaded "gunky white film." However, when I removed the gloss, exfoliated, and reapplied it, Just Blushed looked a lot better and didn't look gunky or cling to my lips' dry patches. The air bubbles however were still there. The Color: The shades in the line were not all pigmented. Pink Cami was much sheerer than Just Blushed. 1. 010 Pink Cami- Sheer light pink with a bit of peach and lots of shimmer. 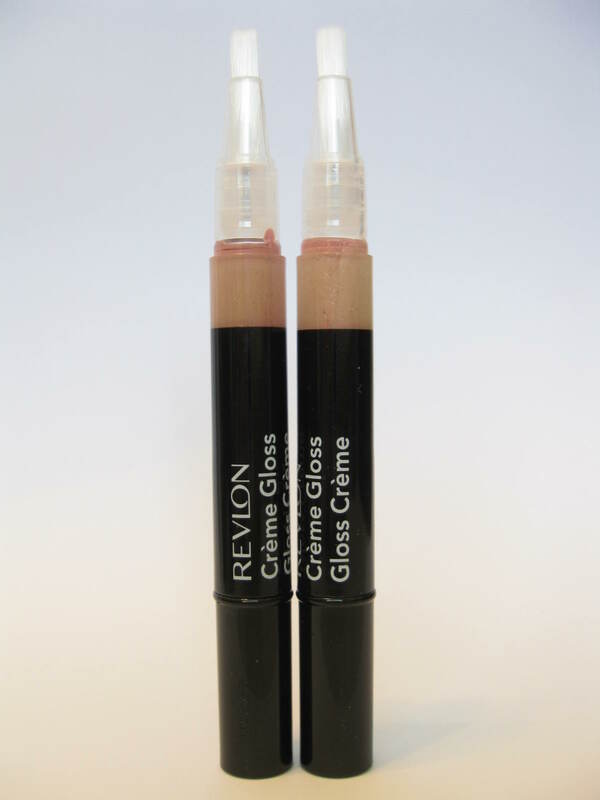 Overall: I really liked Pink Cami and if I graded the 2 glosses individually, I'd give Pink Cami a B and Just Blushed a C-. Pink Cami went on smoothly with no problems. It just could've been less gritty and more moisturizing for my extra dry summer lips. 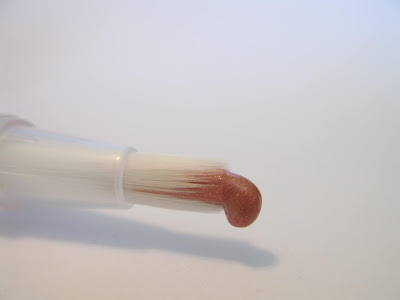 Just Blushed just looked nasty with its air bubbles and the way it clung to the dry skin in my lips. After exfoliating though, Just Blushed looked better but I still saw all the air bubbles. 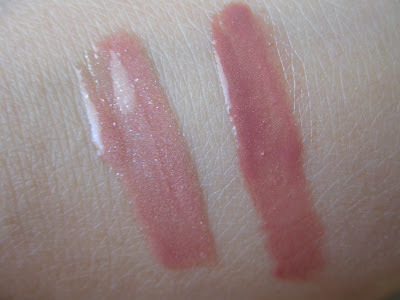 I'd say give Pink Cami a try if you like light pink, natural lips with some shimmer! I'd skip Just Blushed. There are also tons of other shades available too if you wanted to explore the line. These look pretty good, pigmented. I may pick some up during the 50% off lip sale we have in Canada right now. Great review. Thanks. =) Definitely get them at 50% off while you can since they're a bit expensive for drugstore glosses. I agree. I'm not super fond of the packaging either since I always squeeze out too much but at $2.50, I can't complain too much. And don't get me started on Revlon eyeshadows!! Can you say B-A-D?? Hopefully they'll improve them in the future.